Since I got tired of my Halloween Jakob (also maxed out his HM). No tempest trial bonuses. She rocks and rocks more under Desp range. Will +10 her after I +10 Aversa. I'm using a 4* Oscar and still able to easily auto hard 5. I bet you likely have a 4* Oscar lying around. Or at least should. She's ok, but I don't know if I'd call her a monster. 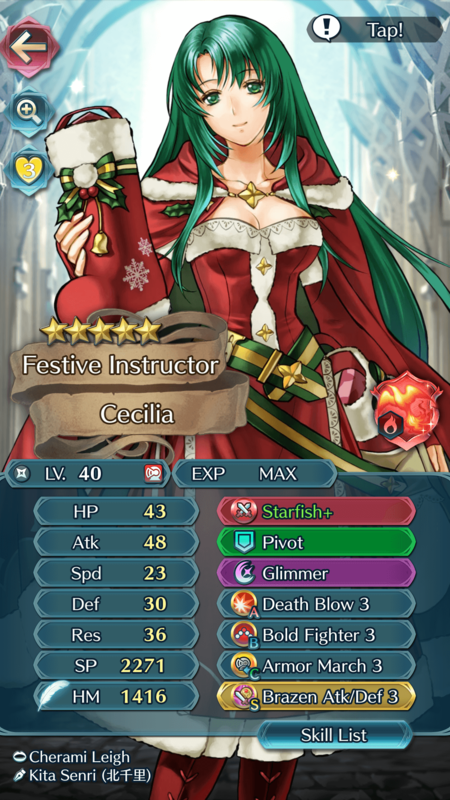 Not sure if her stats are going to be much better once you +10 her, but her attack isn't amazing and it's really easy to double her, so if the enemy initiates, she's pretty much dead. who tf would go for atk on +weapons?